WELL, I KNOW IT SOUNDS CRAZY, BUT..
I’m offering a chance for 1 lucky audience member of each date on my SUSPENSION/DIMENSION US 2019 tour to come up and play with my band and I for a song. Are you a singer? Musician? Perhaps you play a MEAN triangle? I want you to come up on stage with me. It’s simple. You don’t have to be the best. I want you anyway. 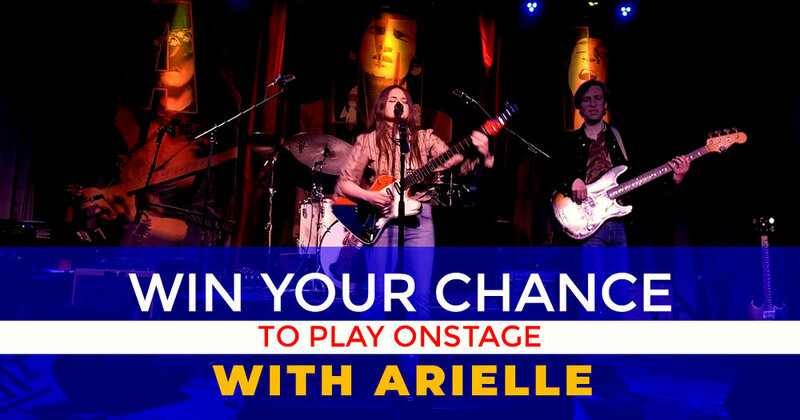 Enter to win by purchasing your tickets(SEE TOUR DATES) sending a copy of the receipt to arielle@imarielle.com with the city name in the Subject Line, and let me know what you plan on doing. Any videos or written descriptions are warmly welcomed. A week before we come to your town, I will send an email to the chosen winner, with the rest of the information needed for you to prepare to come play with my band and I. GRAB YOUR TICKETS now and I’ll be announcing, and sharing a post of the winners as we get closer. For those of you who have purchased tickets already, please send a confirmation email.